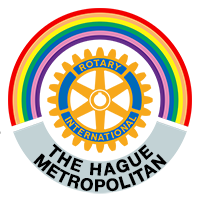 After learning about the worldwide problem our youth faces with human trafficking, The Rotary Club of The Hague Metropolitan is considering a series of activities to fight this disease. The initial step was to have Detective Bill Woolf from Just Ask Prevention in the United States give us a presentation on this matter that we are sharing with all of you. We will continue with other activities that may include training local school teachers and local leaders on how to protect our community and our youth by providing them with tools and resources to defend themselves against human trafficking. Click here to download the Just Ask Prevention presentation.